Are solar and wind power the answers to future clean, reliable energy needs? When you hear about the international climate change accords redistributing wealth to poor countries, there is a dirty little secret that they don’t want you to know. Their “aid” and “support” only provide for renewables like solar and wind power. Some of this is aimed at individual hut-mounted solar panels, which is OK as a temporary solution supplying personal needs for those areas that are far from electrical grids. For long term growth and economic development, reliable, consistent fossil fuel (coal, oil, gas), hydroelectric, geothermal and nuclear power are needed but are prohibited or discouraged in favor of intermittent, unreliable solar and wind power. Construction of over 200 hydroelectric dams have been stopped in Africa alone on environmental grounds, although hydroelectric power is one of the cleanest and most reliable forms of energy generation. Africa has hydroelectric capacity to supply all the continent’s needs for the foreseeable future, but development is meager. Meanwhile, over 600 million people in sub-Saharan Africa have no access to electricity. Energy Poverty is keeping countries in Africa and other underdeveloped countries from developing a robust economy through manufacturing, mining, agriculture, technology and investment, to join the twenty-first century. They need to develop electrical systems using the “all-of-the-above” approach. The need is extreme, and the need is urgent. Here are a few reason why solar and wind power are not the answer to clean, reliable power anywhere in the world, and especially in countries in Energy Poverty. They are neither clean nor reliable. If CO2 is not causing warming, (see previous post) hydrocarbons can provide clean energy with proper scrubbers to eliminate pollutants from smoke. As primary power sources, solar and wind power require back up power from other more consistent sources. Their unpredictable nature makes it difficult to supply consistent power through back up sources like fossil fuel and hydroelectric power plants, which cannot change their output quickly, and must run constantly at less than peak efficiency to be ready when needed. Solar and wind power sources require covering large areas with turbines or solar arrays to supply power, which necessarily disrupts ecosystems. The area disrupted per megawatt of power, compared to other energy sources is staggering. Even reservoirs behind hydroelectric dams are less disruptive to the environment. Solar panels and wind generator super magnets require exotic “rare earth” minerals, whose extraction is very polluting due to the naturally dispersed nature of rare earths (thus the name). Mine wastes include radioactive and toxic elements such as uranium and mercury that often contaminate lakes and streams. 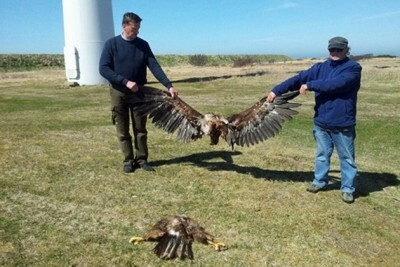 Wind turbines kill birds and bats by sucking them into the blades, and produce infra-sound that is annoying and may be harmful to animals and humans. In reality, the best way to protect the environment and stabilize family sizes is to raise poor people in developing countries out of their disease ridden squalor. They’re not lazy, just sick and weakened by malaria, parasites and other infections. 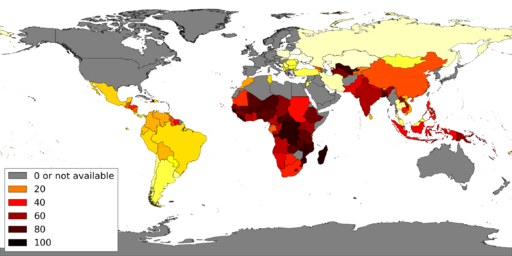 Poverty, not population size, is the cause of environmental damage. If there is a shortage of fresh water in the world, as claimed by environmentalists, it is because reservoirs are needed. Reservoirs not only retain more water from loss to the sea, but actually help to replenish ground water through lateral seepage into the underlying and surrounding strata. My first book, Perverted Truth Exposed: How Progressive Philosophy has Corrupted Science was published in 2016. It is available in print and ebook, on line only, through World Net Daily store, Amazon, Books-A-Million and Barnes & Noble. See the companion blog at www.realscienceblog.com for related posts.